They knew they would have to go up against a violent cult to reunite with their son, but the family had no idea how soon they would become the prey in Jackals, a new movie from Scream Factory Films. Ahead of its September 1st release, Jackals is teased in a trailer that channels the visceral violence and isolated horror of Bryan Bertino's The Strangers and Jack Ketchum's Off Season. 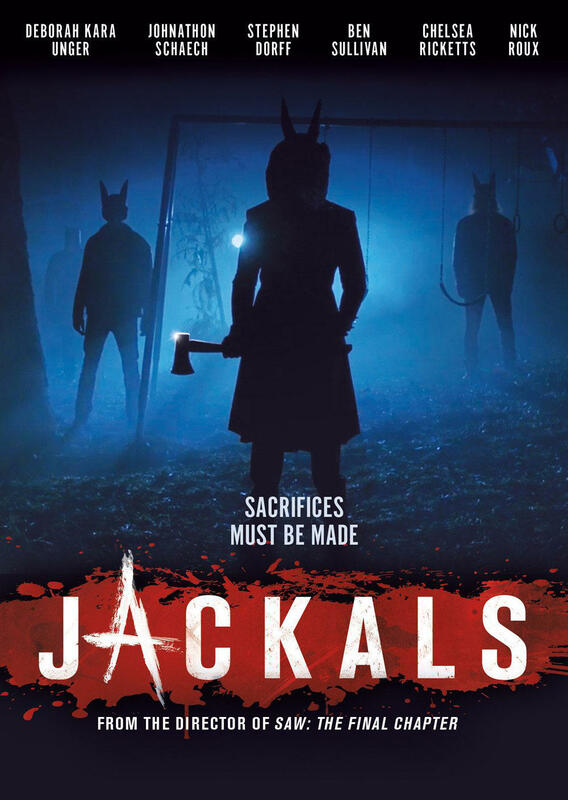 Press Release: In a potent blend of the horror, thriller and home-invasion genres, an estranged family attempts to save their son from a murderous cult in the terrifying psychological thriller Jackals. Opening in select theaters and On Demand September 1st, 2017 from Scream Factory Films, Jackals is a shocking and suspenseful saga from director Kevin Greutert (Saw 3D, Visions) and producer Tommy Alastra (Sunset Strip). Jackals is disturbing vision of a fractured family that will do anything to get their estranged son back from a murderous cult, only to find themselves under siege when the cultists surround their cabin. A vicious battle unfolds, testing familial loyalties and unleashing a bloodbath in which there are few survivors.